Mid Bloomer. Pinkish flower heads, hairy stems and leaves, 3-leafed. A weedy plant found in disturbed places. Notes: Pea family. Only the bumble bee’s tongue is long enough and shaped to reach the well of the flower (T. pretense). Some clovers are edible. Leaves used for blood disorders. Rosy Clover contains estrogen-like compounds. It was also used for liver ailments and memory. There are many species of clover. The Maidu boiled greens in saltwater (overeating can cause stomach bloat). Birds can eat foliage and seeds. Also a food source for squirrels, deer and several species of butterflies. It was used as a folk medicine for colds and coughs. 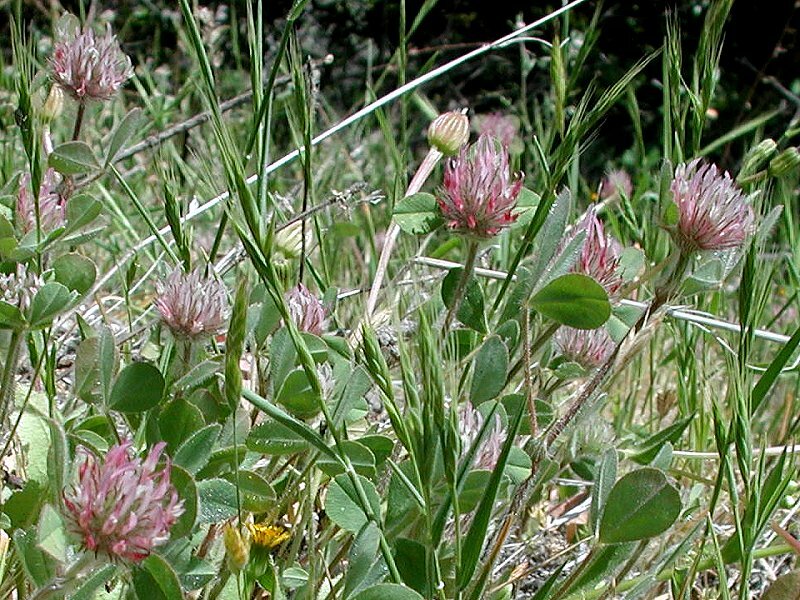 Rosy Clover can be used as a substitute for Pekoe tea. Click on species name below to go to USDA for this species.